Learn How To Generate More Traffic, Followers & Likes For Your Website, Social Media Platforms & Business. Do you want to the learn the best ways to drive traffic to your website? Do you want to learn how to get masses of leads for your business? Do you want to know how to get thousands of likes and followers for your social media accounts? 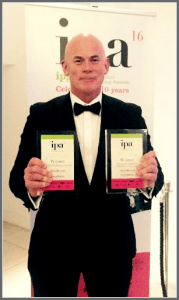 If you’ve answered yes to all of the above, make sure you attend the ULTIMATE Traffic Hacks course with best-selling author, Richard McMunn. As an entrepreneur or business owner, you know one of the most frustrating elements of business is to get consistent, sustainable and long-term visitors to your website, social media channels or into your business. 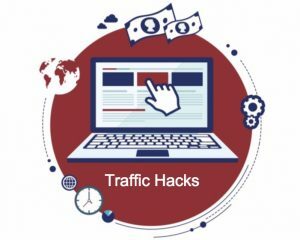 Staying up to date with current traffic generating strategies can be difficult and trying to figure out what will work best for your business can be confusing and time-consuming so you need proven strategies from a trusted source to help you generate the traffic you need to make your business and profits grow. Once you learn the tips and tricks that work for generating consistent traffic and leads, it then gives you the opportunity to turn these visitors into paying customers. 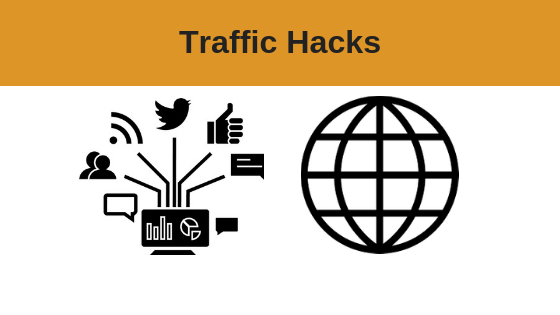 This information-packed Traffic Hacks Course is designed to show you everything you need to know in order to generate masses of traffic for your website, social media channels and your business. ✔ How to build a Massive List for your website Using Facebook + FREE giveaways! How to Reach Your Ideal Customer: Target potential customers for your business based on who they are, where they are located, and what their interests are. Plus LOTS more! 7 hours’ worth of EXPERT TUITION, and tutorials on the latest, cutting-edge strategies for traffic generation. The TRAFFIC HACKS the most successful entrepreneur are using in their businesses TODAY! Learn everything you need to know in order to generate INSTANT TRAFFICfor your website. EASY TO LEARN strategies, information-packed course – easy to absorb and apply. CHECKLIST & BLUEPRINTS to drive traffic to your website and social media channels. As this course is delivered in a step-by-step manner, it is perfect for anyone who wants to learn up to date techniques and strategies for online Traffic Generation. One of the best things about this course is that you need no prior experience to get started. You will discover how to leverage the tools and strategies that are available RIGHT NOW at your disposal to drive traffic to your website and social media platforms. Rick will teach you tried and proven strategies that you can successfully apply to get consistent traffic for your business. The simple fact is, every online business needs a consistent stream of traffic in order to be successful so if you have an existing business or want to have a successful online business you need to learn how to generate traffic.